Size: 20"x26", 22"x32", 28"x40", 25"x37", 32"x42"
We are offering Die Creasing Machine to our clients. -38" for sale in running condition....at Hyderabad for immediete sale. With our years of experience & in-depth knowledge in this field, we are engaged in offering a quality-assured array of Die Punching Machine. Being one of the renowned firms in the industry, we are decidedly involved in providing a premium quality array of Industrial Die Punching Machine. 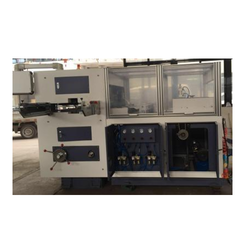 To retain our goodwill in client's consideration, we are manufacturing an excellent quality range of Die Punching Machine. 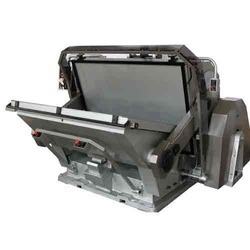 We have carved a niche amongst the most trusted names in this business, engaged in offering comprehensive range of Automatic Die Punching Machine. We are successfully meeting the varied needs of our patrons by offering a wide gamut of Die Punching Machine as per their precise needs.